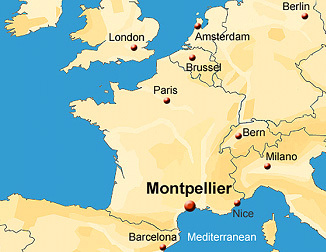 Montpellier is one of France’s oldest University cities with Paris and Toulouse (XIII Century), and has become today a major hub for research on environment and development issues. The city is located on hilly ground 10 kilometers (6 mi) inland from the Mediterranean Sea coast on the banks of the Lez River. The medieval center, “the Ecusson”, gives to the city its unique and intimate feeling. We hope that you will take this opportunity to enjoy the social and cultural life of the City and to visit the unique surrounding (natural and Unesco World Heritage sites). The conference will take place at the Mercure Hotel Centre situated a stone's throw from the Place de la Comédie and Place de l'écusson (historic center of the city) and the cultural district (Le Corum) of Montpellier. 50 rooms have been blocked at workshop venue - Mercure Hotel Centre - and to benefit from a negotiated rate of 136 €/person/day (+ 16 € for breakfast), reservation has to be made directly at the Mercure Hotel Centre before midnight on 15th May 2018. Taxis and shuttle bus have commonly used to join Montpellier City. The city's main train station is Montpellier St. Roch. 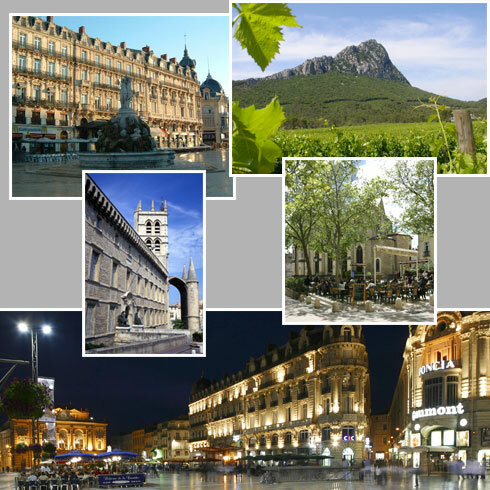 France's TGV train service links Montpellier to major cities, including Paris, Lille, Lyon, Valence and Nice, as well as offering travel through to Barcelona. Most of the major towns on the Côte d'Azur are accessible by using train transport from the St. Roch station. Four tram lines currently operate in Montpellier. They take in the train station, Place de la Comédie, Corum and the University. In general, tram transport frequently travels during the day, but not as often during the evening. Tram services operate up until 24:00. Exit Montpellier Est, 10 minutes from Le Corum (Montpellier Center).